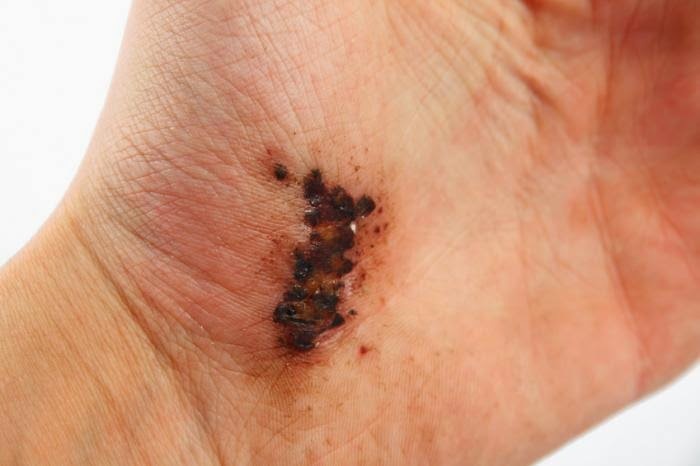 A thin layer of microorganisms that are in the skin plays an important role in wound healing, according to a new study presented by Dr. Matthew Hardman, a senior researcher of the University of Manchester Healing Foundation Centre. "This study gives us a better understanding of the types of species of bacteria in skin wounds, and how our cells respond to bacteria and how it can affect the interaction of healing," says Dr. Hardman, as reported by Medical News Today. For the purposes of the study, the researchers compared the bacteria in the skin of people who have chronic wounds and the wounds have healed people. They found no difference in bacterial colonies of these two groups of people. According to the researchers, the findings suggest there may be a pattern of certain bacteria to wounds that do not heal. In addition, the researchers also conducted experiments on mice to find a reason why some wounds can heal wounds while others do not. From these experiments, they found mice with specific gene mutations have more harmful bacteria and heal more slowly than mice with a normal gene. The gene has been known to have links with known Crohn's disease and may help identify the cells and reacts to the bacteria. "Taken together, our studies in humans and mice provide good evidence about the skin micro biome has a direct effect on how we can recover (from injury)," said Dr. Hardman. He said that by learning more about skin bacteria may be it can help doctors decide the appropriate treatment to address the harmful bacteria without affecting the beneficial bacteria. The researchers in this study hope that the findings of this study will be able to help deal with chronic injuries among the elderly. According to them, about one in 20 elderly people suffered injuries that never healed. Chronic wounds is a health problem that is often caused by diabetes or poor blood circulation.